Schools often resort to ineffective, punitive interventions for the 10% of K-8 students whose challenging behavior interferes with their own and their classmates' learning. 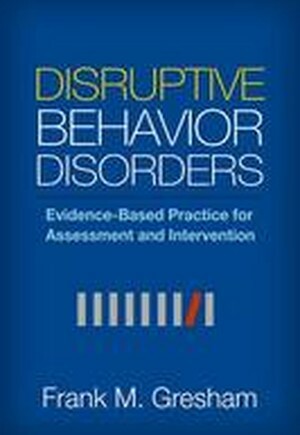 This book fills a crucial need by describing ways to provide meaningful supports to students with disruptive behavior disorders. Prominent authority Frank M. Gresham weaves together current research, assessment and intervention guidelines, and illustrative case studies. He reviews a broad range of evidence-based practices and offers recommendations for selecting, implementing, and evaluating them within a multi-tiered framework. Coverage includes school- and home-based approaches, multicomponent programs, prevention strategies, and social skills training.